If you would be interested in supporting the Department of Kinesiology at Kansas State University, please visit https://give.evertrue.com/ksu/he or contact Jeff Haug, Director of Development, at jeffh@ksufoundation.org. Your support for kinesiology in the College of Human Ecology is vital to the success of the Innovation and Inspiration campaign. 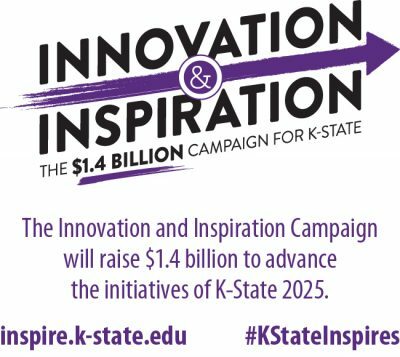 This campaign will raise $1.4 billion to drive Kansas State University forward toward its strategic vision to become a top 50 public research university by 2025. You can learn more online at inspire.k-state.edu.